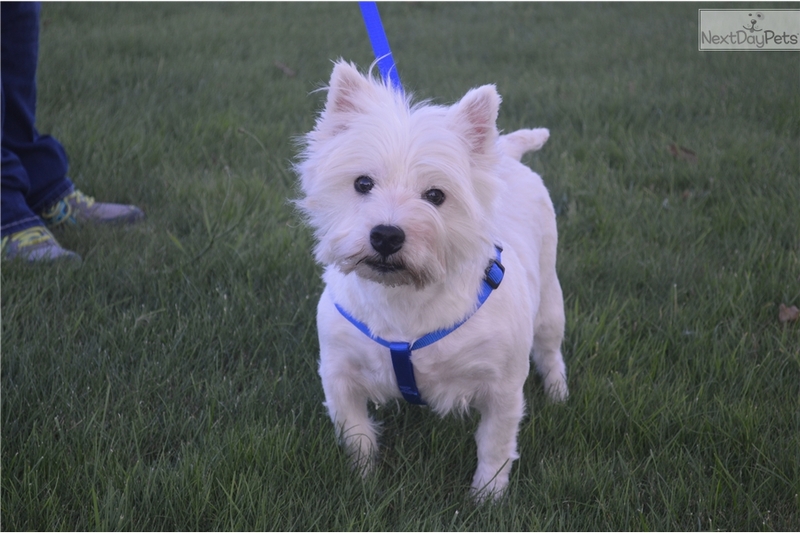 This West Highland White Terrier - Westie nicknamed Heaven sold and went to a new family. Due to life changing circumstance I'm forced to sell my beautiful westies. If you are a responsible breeder and are looking to improve your breeding program. My beautiful westies may be what you have been searching for. She is 16 LBS. Great coat, tiny ears, AKC standard. She is smart, loves kids and gets along well with others. She has a want to please attitude. She will be a great addition to your breeding program. Please feel free to contact me for more information.